Founded in 2005, the Carrabba Group offers a full-service concierge-style experience like no other. When you're looking to sell, first impressions are everything. Effective marketing makes the difference between no offers and an abundance of offers. Our in-house marketing and technology teams get your home the most exposure in the most extraordinary way, so we can get you top dollar for your home, in the shortest amount of time. Thinking of buying? We'll show you all available options and secure the best fit at the best price. Whether you're a buyer or seller, we listen to your input. Ultimately, you're the one who decides how much you want to spend or ask for your home. But we're here to provide you with the necessary information to ensure you're ready to make confident, well-advised decisions. 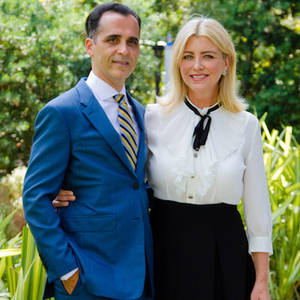 The Carrabba Group is led by Monique Carrabba, an agent and Los Angeles native, and Joe Carrabba, a licensed CA attorney and broker. We specialize in all types of home sales, including distressed sales, divorces, relocations and probates. From Palm Springs to Malibu, we serve first-time buyers, those seeking a second home, overseas clients moving to Southern California and investors looking for their next opportunity. Homes, investment properties, commercial properties and leases-we cover it all! If you're looking to buy or sell, give us a try. We're low pressure, we love what we do and we'd love to exceed your expectations. When you partner with us, you get access to our world-class Compass technology, and a dedicated team of experts who will strive endlessly to get you what you want.